Mr. Janti Abdallah, General Manager at STS PayOne, demonstrated QPAYs’ innovative online debit card PIN capturing technique, combining utmost security and an attractive user experience. At a panel discussion during the conference, Mr. Janti Abdallah further described some features that QPAY employs such as the One Time Passcode (OTP), and the Virtual Rotating Dialer used for secure debit card PIN entries. 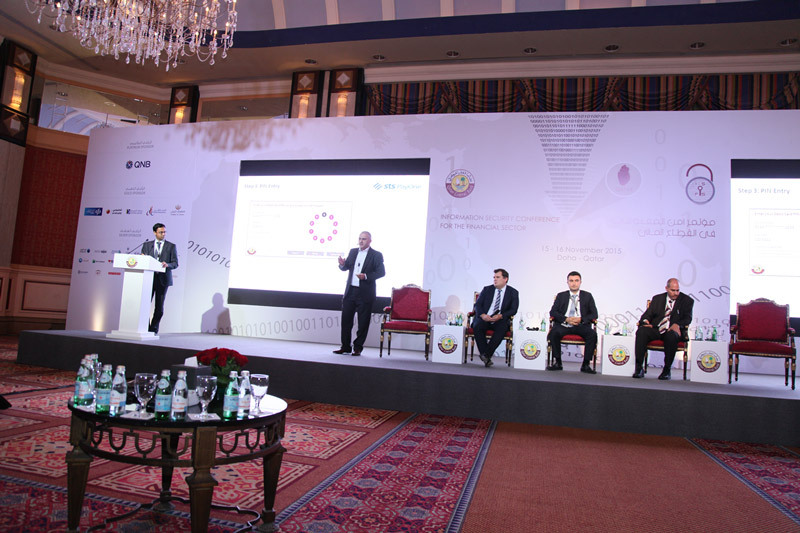 The event, which took place on the 15th and 16th of November 2015 at the Ritz Carlton Doha, was attended by the Qatari Prime Minister and Minister of Interior, His Excellency Sheikh Abdullah bin Nasser bin Khalifa Al Thani, the Minister of Information Communications Technology Her Excellency Dr. Hessa Al Jaber, GCC Secretary General His Excellency Dr. Abdullatif bin Rashid Al Zayani, and QCB’s Governor His Excellency Sheikh Abdulla bin Saud Al Thani in addition to more than 1,200 delegates representing entities from the public and private sectors in Qatar and GCC. STS PayOne also exhibited and showcased its products and services from the STS PayOne booth. Experts and specialists were present to attend to all queries posed to them by the booth visitors.